Do you know someone who suffer from Peripheral Neuropathy? If you do, please be nice to them. They may not look sick but they have to deal with symptoms that literally get on their nerves. 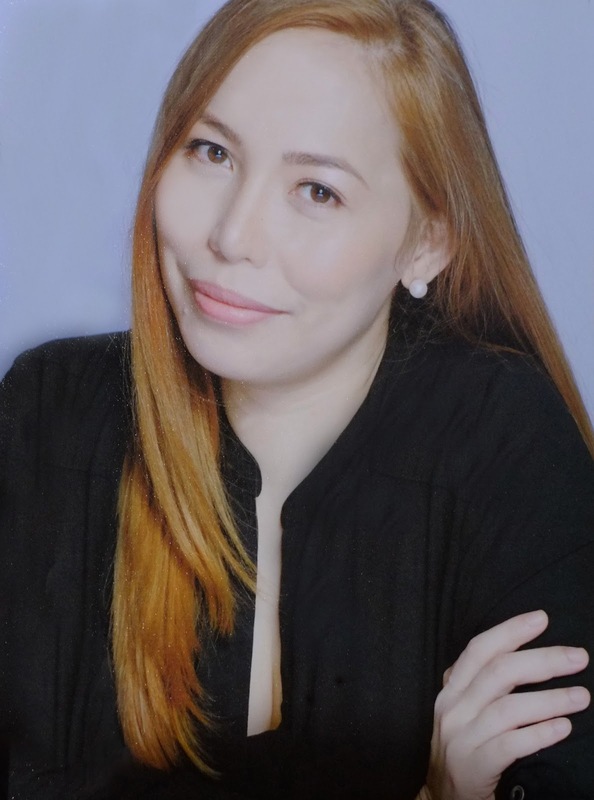 Seriously, besh... looks can be deceiving. Millions of people who suffer from symptoms like tingling sensation and numbness suffer in silence. 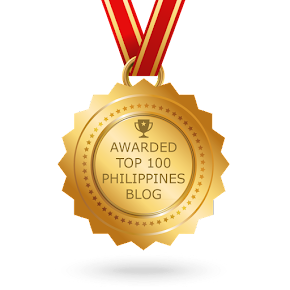 They usually described it as “ngalay,” “kirot” or “tumutusok-tusok.” Despite the physical discomfort, they continue to work hard without complaining. 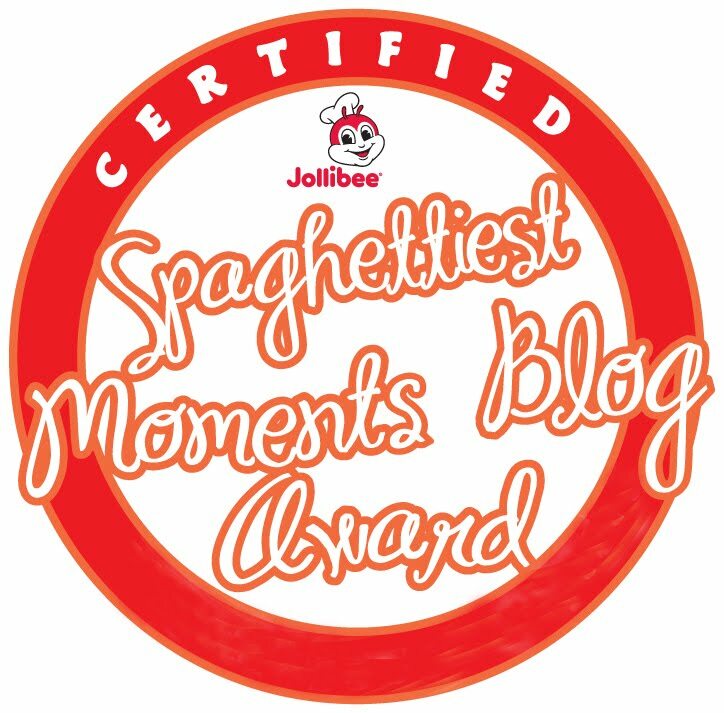 Do you remember a time when you were sitting on the floor with your legs crossed, and you feel like parang may tusok-tusok na sensation? Now imagine living with that feeling every minute of the day, only it's not just in your legs but all over your body. Most people don't even know they're already suffering from Peripheral neuropathy, which is a set of symptoms caused by damage to the nerves in the arms and legs. These distant nerves are called peripheral nerves. These symptoms have an impact on the patients' well-being and their quality of life. Early detection and treatment are crucial as well as effective treatment options, which relieve patients from their symptoms without having to suffer from significant side effects. That's why it's important to get yourself checked if you have these symptoms. 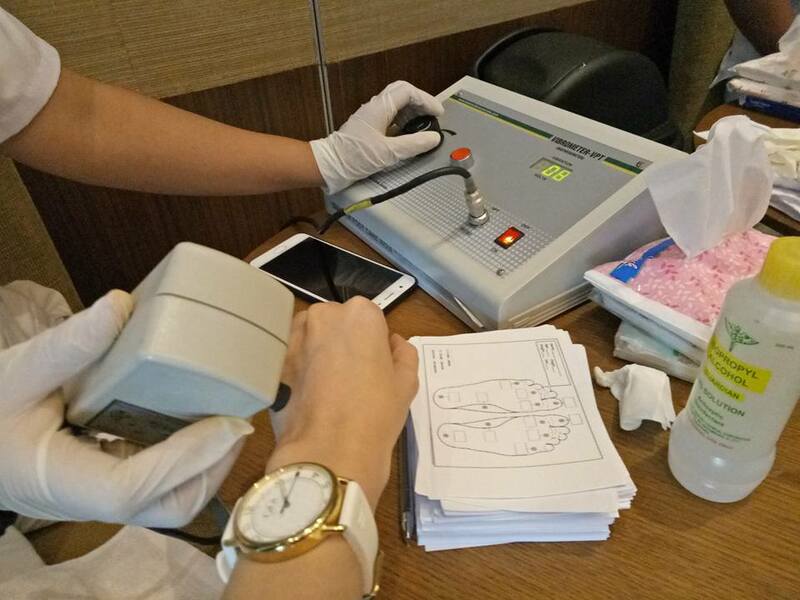 Speaking of which, I got myself tested for peripheral neuropathy when I attended the NENOIN Press Conference at Marco Polo Hotel last Wednesday. The machine is used to assess nerve damage and dysfunction. Results with 15 volts and above are considered abnormal. Good thing mine is 2.9 volts, which means it is within normal range. 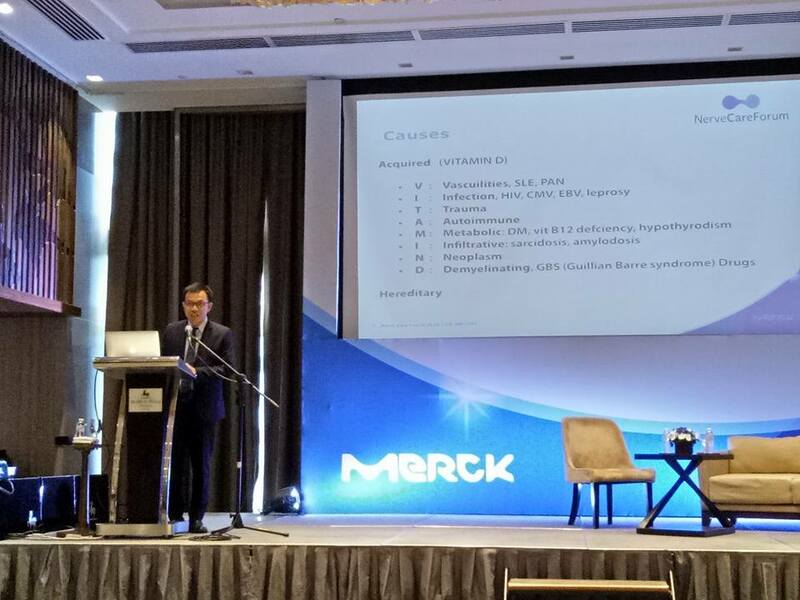 Who is at risk factor of peripheral neuropathy? Smokers. Smoking harms our bodies in more ways than one– and if you continue to do so, it can cause nerve impairments. Smoking continuously narrows the arteries, reducing the blood flow throughout the body. Heavy drinkers. Excessive drinking may cause Vitamin B deficiency and lead to the onset of neuropathy. The Elderly. 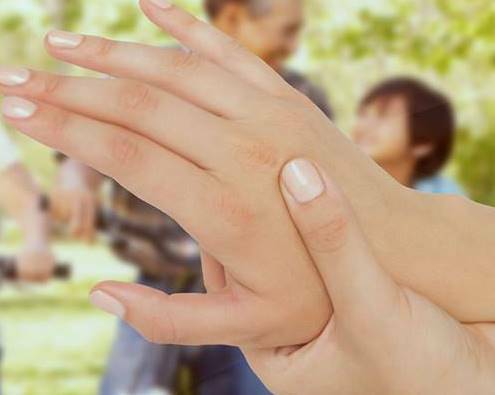 Older people are more susceptible to nerve damage. As we grow older, our bodies have a hard time absorbing vitamins, making us more vulnerable to disorders like neuropathy. Neurotropic B vitamins combination has been proven effectively for peripheral neuropathy sufferers in relieving symptoms, which have been included into the study independently from the cause of their disease. The symptoms were even more reduced over longer duration of treatment (for a 3 months period tested and the treatment was well tolerated. 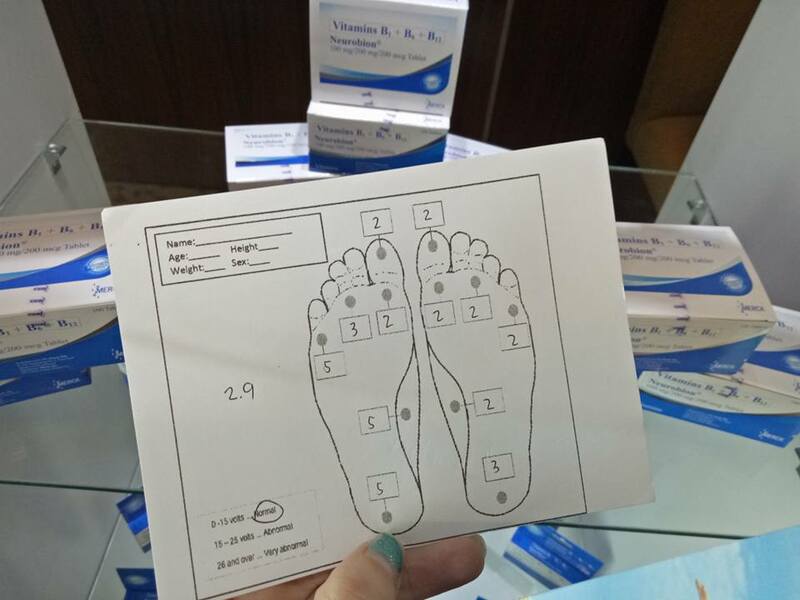 A new clinical study (Asian Journal of Medical Sciences, lan 2018) has brought a major step forward for nerve health: it has demonstrated that an effective treatment helps relieve all neuropathy symptoms (observed in the study), regardless of the cause of peripheral neuropathy. 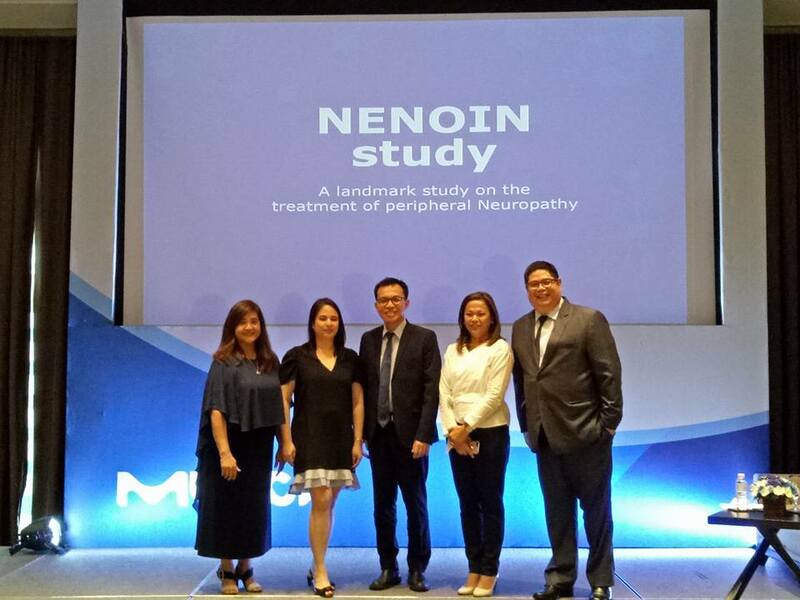 NENOIN study was presented by Dr. Rizaldy Pinzon, a half-Filipino neurologist from Bethesda Hospital in Indonesia. 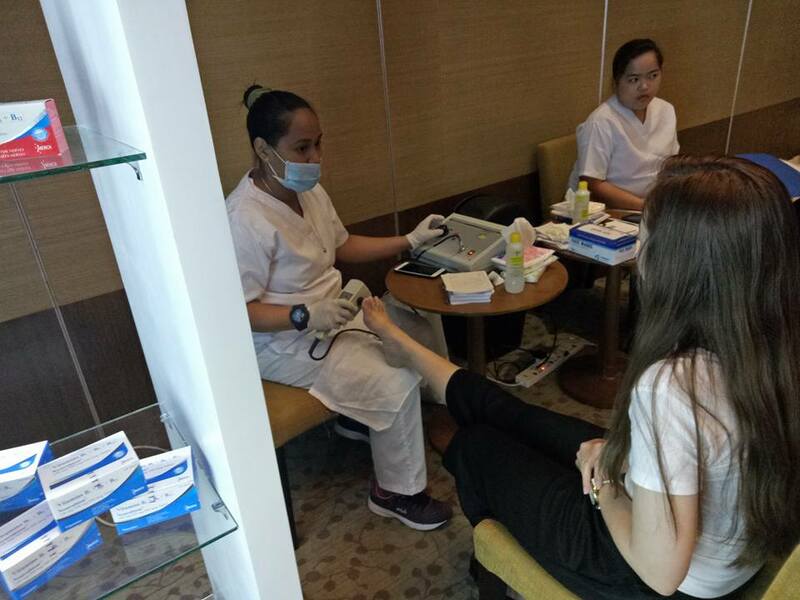 Whether the patients were suffering from numbness, pain or paraesthesia (usually painless sensation like tingling or itching, often felt in the arms and feet, they experienced relief on all these symptoms. It was also observed that the longer they used the treatment, the more relief the patients felt from these symptoms. Finally it is also very reassuring to see that the treatment has shown a good tolerance profile over the whole duration (3 months). Take Neurobion one to two times daily after consuming a meal. You should not take this medication on an empty stomach, and consume with a full glass of water. 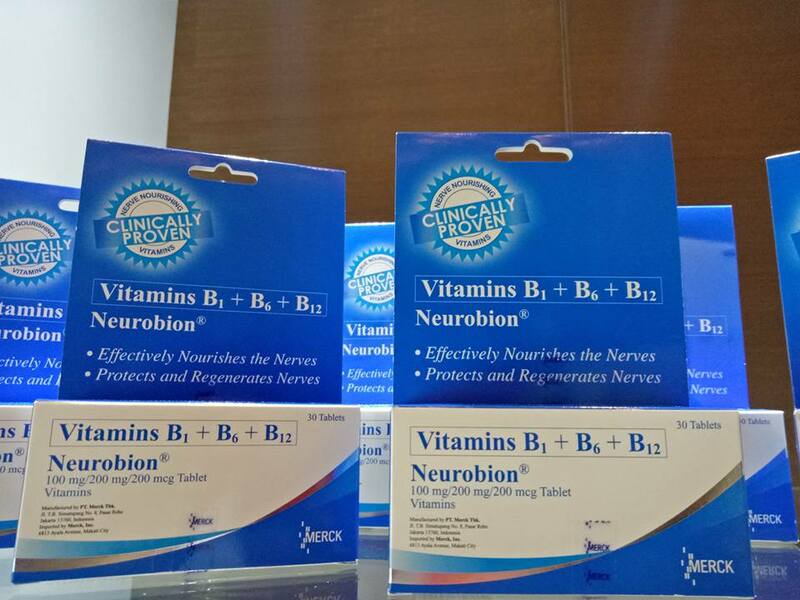 Neurobion Tablet and Neurobion Forte Tablet is available over the counter while Neurobion Forte Solution for Injection is available by prescription. Remember, neuropathy symptoms can be managed. 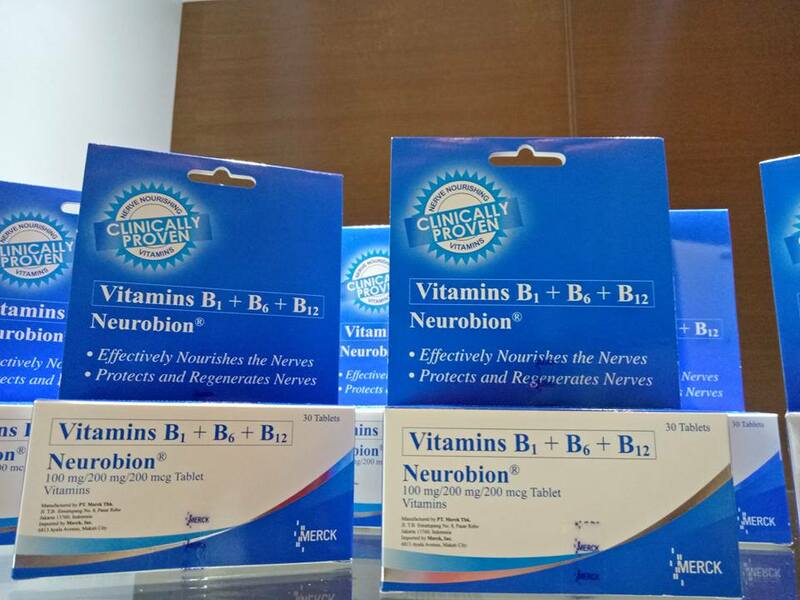 So nourish and protect your nerves with Neurobion.